I wanted to let you know of some exemplary work by your staff last night. We had booked a babysitter for last night at 6 pm and a situation arose in which the woman was not going to be able to make it to our house until much later in the evening. I first got a call at 5:30 pm about this from our originally scheduled sitter, and then I contacted Kylie. She was extremely helpful and was able to secure a sitter, Michelle. Michelle was at our house by 6:35 pm and we were able to make our dinner reservations, only being 20 minutes late. Overall my wife and I thought it was excellent service and you should know about it. Thank you Sharon. You and your staff have taken a huge burden off my shoulders. Kylie has also been a pleasure to work with. This has been the best money I have spent. Thanks for all of your help! Thanks Sharon! You guys have been terrific. Everyone has been so helpful. I would totally recommend your company to anyone that needs help. Nannies On the Go stands out from the other agencies for so many reasons. First, your professionalism is outstanding compared to your peers. I appreciated that Nannies On the Go takes the time to interview the family first to get a real, working understanding of their needs. That type of service cuts down on wasted time spent interviewing candidates that don’t fit the family job criteria and personality. Bob and I feel so fortunate to have found your company! You have been so accommodating and understanding. 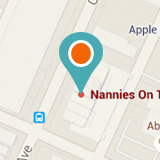 Thank you for you support and assistance finding a nanny. It has been a real pleasure working with you and I will be sure to recommend you to other colleagues seeking similar assistance. You guys are great! I wanted to write you both a note to THANK YOU SO MUCH for helping me, Pete, and our sweet baby Nash find the right nanny for our family. I realize I called you all in one of my darkest hours of panic and within 2 hours time you were at my house interviewing us as a family and listening to what we were looking for in a nanny. Karin has been such a joy to have in our home. She is SO GOOD with the care of Nash. She is responsible, caring, and a happy person to be around! From the bottom of our heart THANK YOU SO MUCH for everything!! Given how quickly we needed to find a new nanny, it is somewhat amazing as I look back at how quickly you were able to pair us with Blair (as well as several other good potential nannies). I just reached out to a couple that I met last night who I think would be perfect. Thanks for putting together a great slate of ladies that met multiple situations and needs.